Editor’s note: This article is part of a series of Showcasing the DNR stories to mark the centennial creation of the Michigan State Park Commission, which was established by the state Legislature on May 12, 1919, paving the way for our state parks system managed by the Michigan Department of Natural Resources. The DNR is celebrating this milestone throughout the year with special events, podcasts, historical stories, videos, geocaching and more. Find more details at Michigan.gov/StateParks100. Michigan is celebrating the 100th anniversary of its Department of Natural Resources-managed state parks system this year. The celebration is centered around the formation of the Michigan State Park Commission by the state Legislature on May 12, 1919. The commission was given responsibility for overseeing, acquiring and maintaining public lands and establishing Michigan’s state parks system. One of the state’s earliest park purchases was acreage in Grand Traverse County that would become the site of Interlochen State Park in 1917. Although the land was purchased prior to the 1919 formation of the Michigan State Park Commission, Interlochen was the first public park to be transferred under its auspices in 1920, and is the first state park in that system, which today is managed by the DNR. 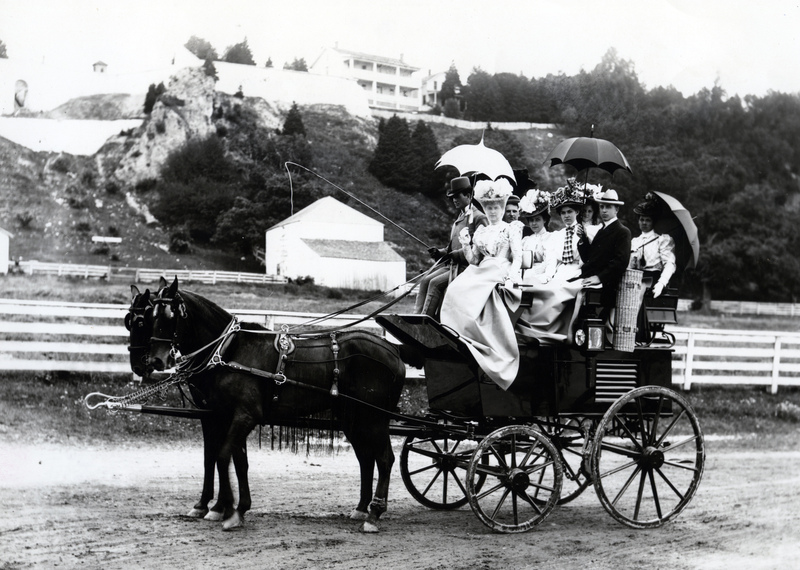 However, 25 years before legislation established the state park commission, the federal government gifted the Mackinac Island property it owned to the state in 1895. The island was designated as Michigan’s first state park under the Mackinac Island State Park Commission. Mackinac Island State Park and Michilimackinac State Park are both official state parks, per their authorizing legislation, but they remain separate from the park system managed by the DNR. 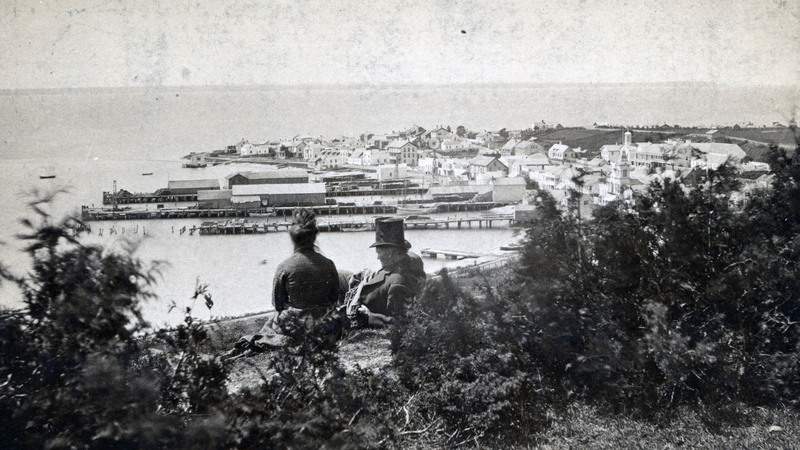 Mackinac Island – historically a gathering place for Native people and then French fur traders and missionaries and later the home of soldiers stationed at Fort Mackinac – had become a popular tourist destination by the late 19th century. Almost 20 years later, the U.S. Army decided to close Fort Mackinac. At the time, the National Park Service didn’t exist, and all national parks were under the umbrella of the War Department. 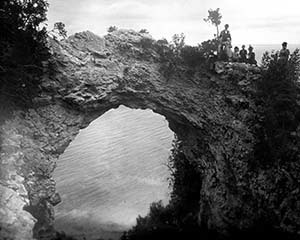 In February 1895, Senator James McMillian – urged on by a group of Mackinac citizens who wanted the island’s government lands kept in public ownership rather than sold – introduced an appropriation bill amendment that would turn the military reservation and the buildings and lands of the national park over to the state of Michigan for use as a state park. 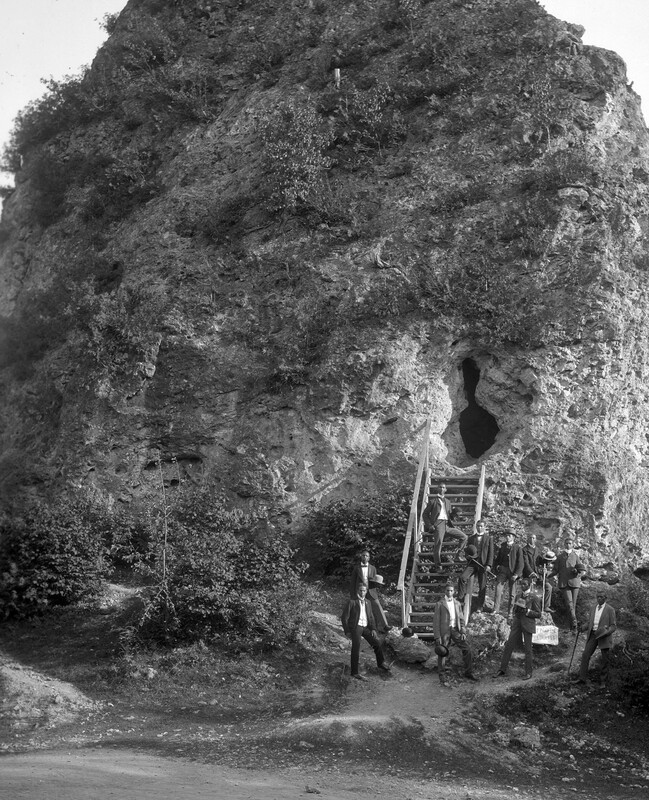 The lands of the military reservation, Fort Mackinac and the national park were formally transferred to the state Sept. 16, 1895. “The state had acquired a treasure,” Armour wrote. Today, Mackinac Island State Park includes the 14 original buildings of Fort Mackinac, which were built by the British military starting in 1780, as well as several other historic structures and about 1,800 acres of land. More than 80 percent of Mackinac Island is state park property, managed by the Mackinac Island State Park Commission. More than 800,000 visitors come to the island each year. 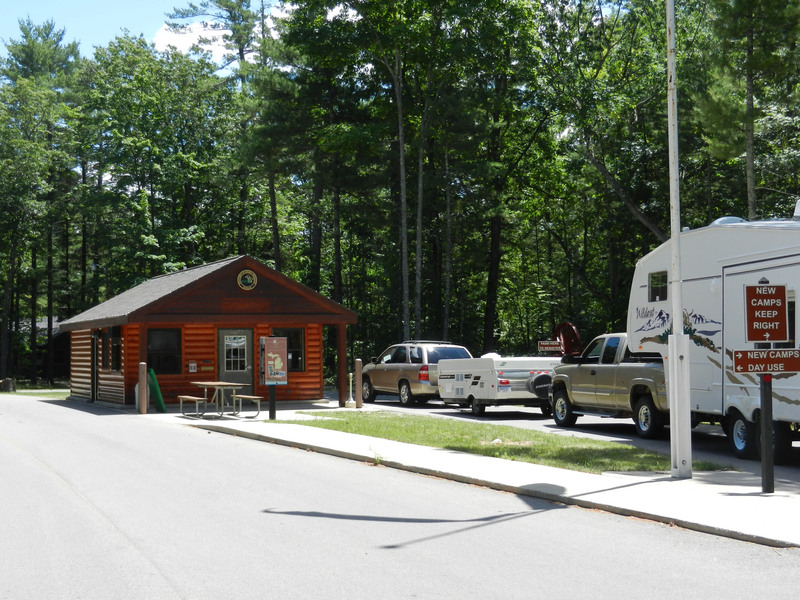 The park features a variety of historic and natural resources, including historic landmarks, breathtaking vistas, spectacular rock formations, quiet forests and inspiring nature trails. To learn more about Mackinac Island State Park, visit MackinacParks.com. The Michigan Legislature paid $60,000 for the land that became Interlochen State Park, located southwest of Traverse City, in 1917. Its location between two well-known fishing and swimming lakes, Green Lake and Duck Lake – Interlochen means “between the lakes” – is one of the park’s defining features. Another is its virgin pine forest. 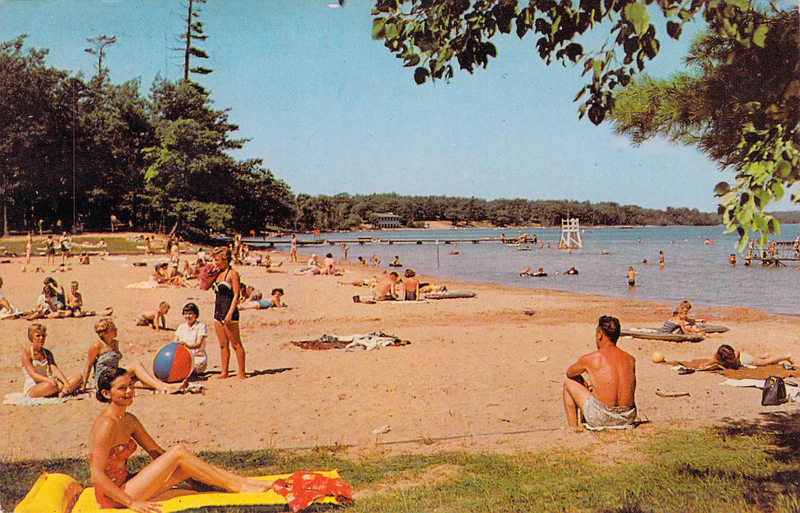 Originally known as Pine Park, Interlochen State Park was created to preserve the land’s virgin pine stand for the people of Michigan. The Public Domain Commission transferred the land to the Michigan State Park Commission in 1920. Today, the state park system that the commission started 100 years ago has grown to 103 parks that attract 28 million visitors each year. 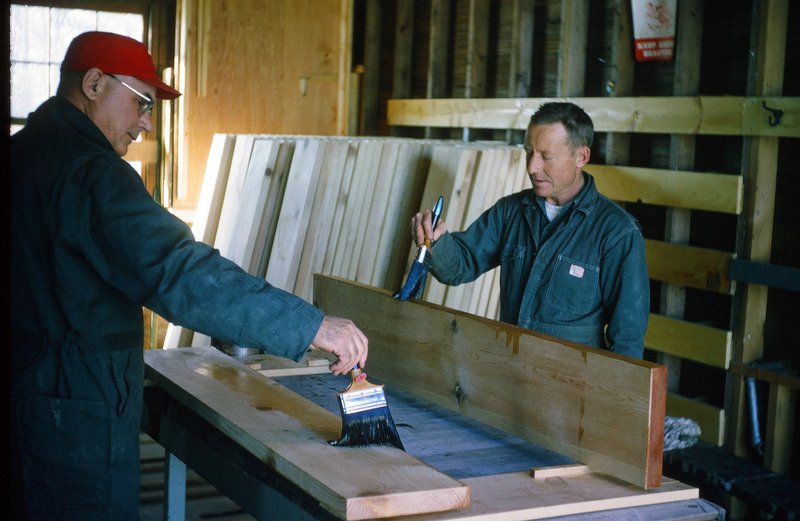 For more about state parks and recreation opportunities available, visit Michigan.gov/StateParks. Beach: A postcard image from the past depicts beachgoers at Interlochen State Park. 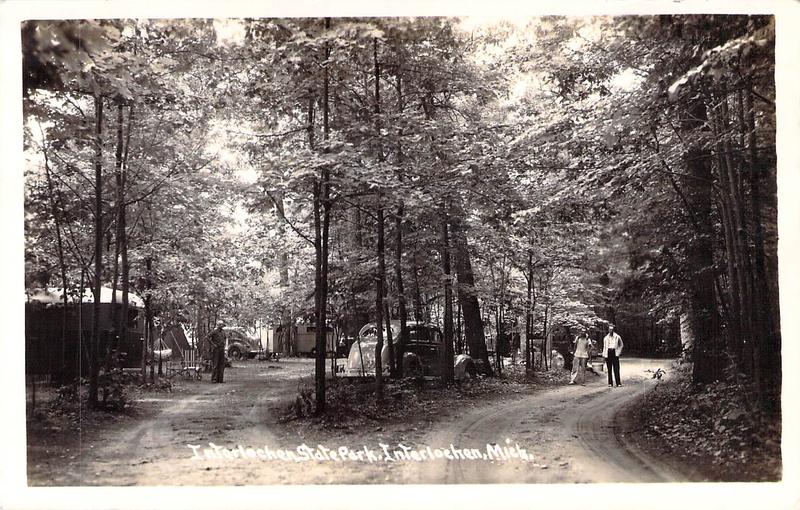 Camping: A historic photo shows campers at Interlochen State Park in Grand Traverse County. 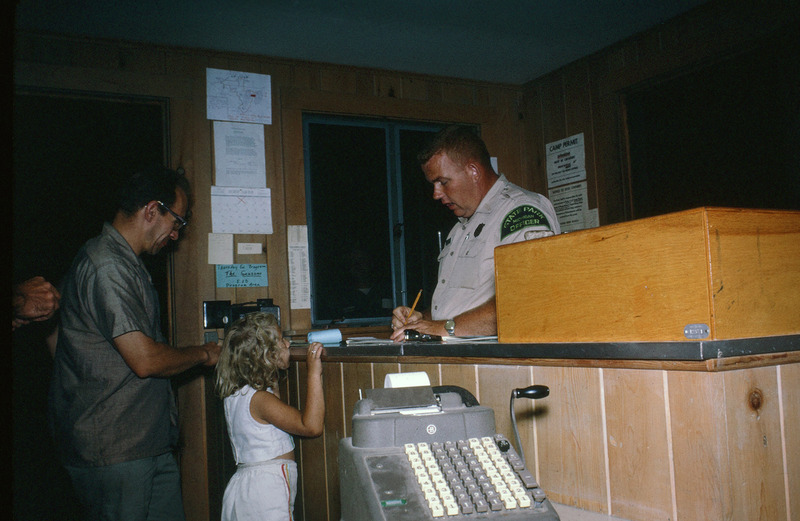 Check-in: Campers checking in at the desk at Interlochen State Park in this historic photo. Enter: Campers line up to check in at Interlochen State Park in this contemporary image. 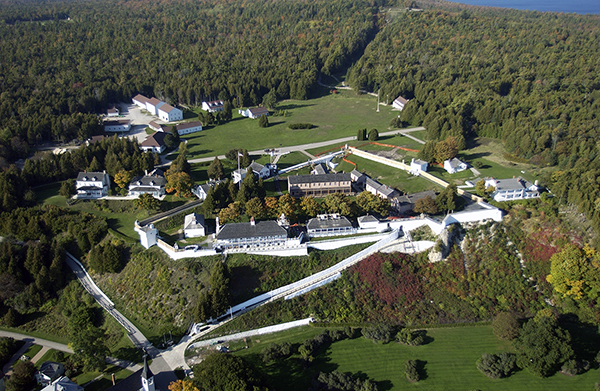 Fort: A contemporary image shows Fort Mackinac at Mackinac Island State Park. 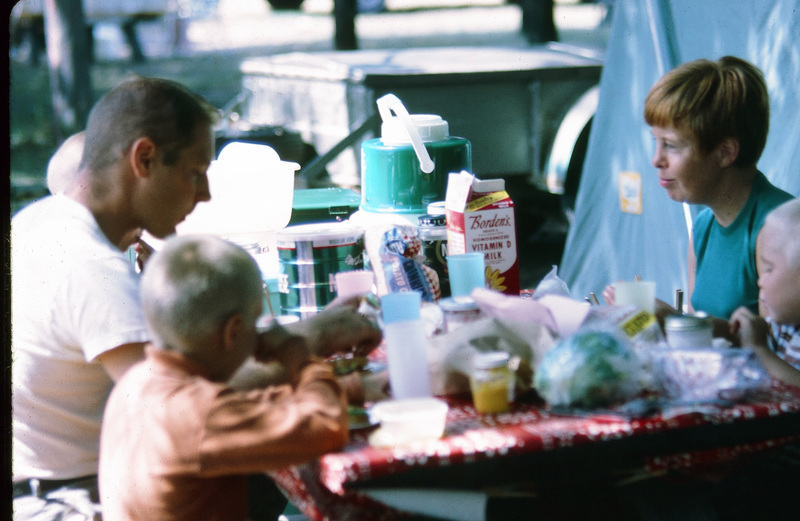 Picnic: A family enjoys a picnic at Interlochen State Park in this historic image. 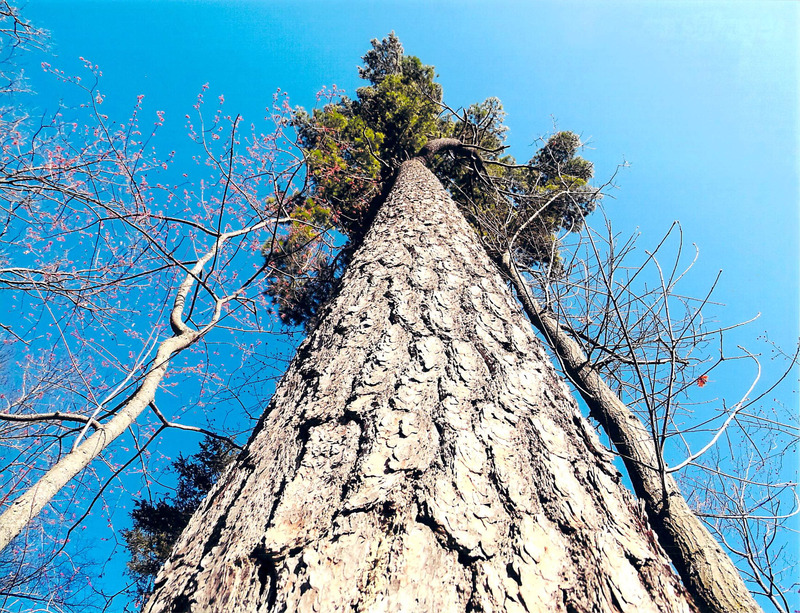 Pine: A towering white pine at Interlochen State Park is an example of the beautiful trees growing at the park. 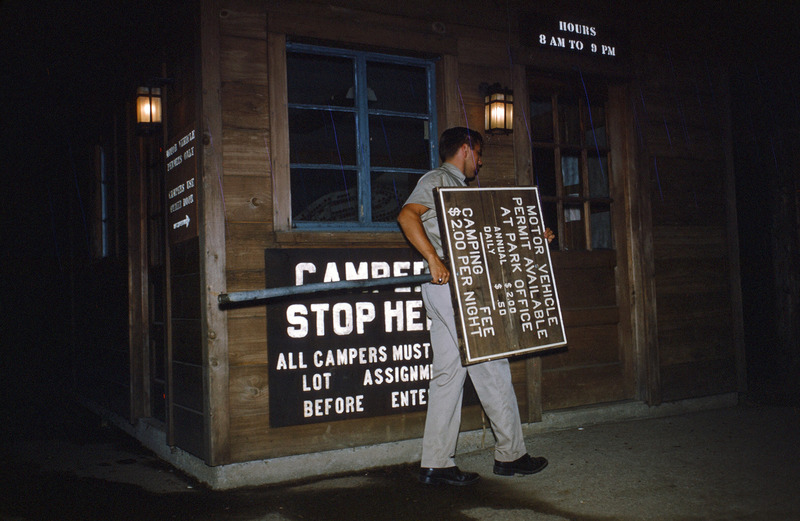 Sign: In this image from the 1960s, a state employee brings in a camping sign at Interlochen State Park. 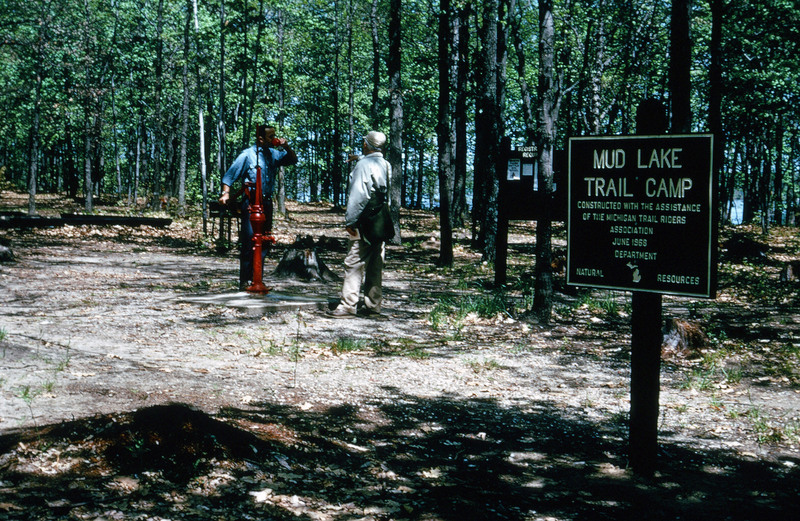 Trail: Two trail walkers stop for a drink of water and a chat at the Mud Lake Trail Camp at Interlochen State Park, in this photo from the 1960s.